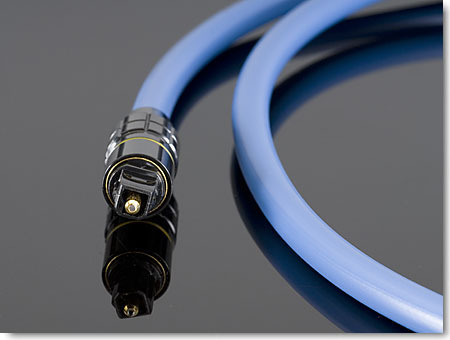 Transparent’s careful cable and connector design, precision assembly, and legendary build quality ensure accurate, lasting performance for all types of digital audio and video applications. 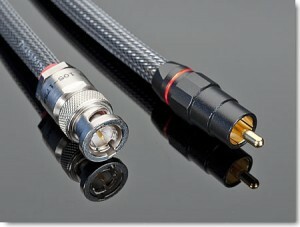 Transparent digital cables for audio and video carry signals over greater distances more accurately. 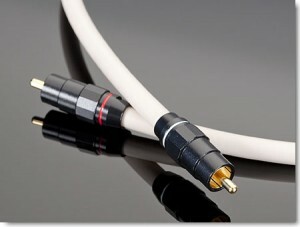 Transparent digital cables maintain precise impedance. 100% coverage foil/mylar wraps and 90% coverage OFHC braided shields suppress noise, for cleaner transmission of your source material. Hefty OFHC solid core center conductor provides maximum surface area for delicate digital signals. 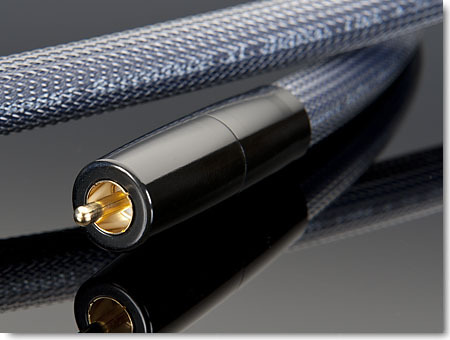 Precision-extruded dielectric insures the cable maintains correct impedance along its entire length. Highly polished center conductor surface reduces skin effect distortion to lowest possible levels. Gold-plated custom designed Transparent connectors for insure ideal signal transfer. Shielding and connector construction of 75-ohm cables ensures 360° contact for exact impedance match at the termination to reduce jitter. To achieve the bandwidth required to transfer ultra high frequency high speed signals, Transparent digital audio and video cables do not have networks. 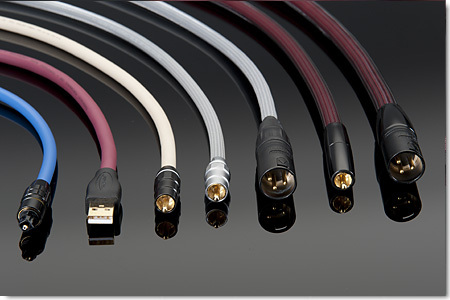 Rigorous examination of actual performance in Transparent Music and Film studio systems is key to the refinement of all digital audio and video cable designs and complementary connectors. The new Transparent Reference Digital Link benefits from a complete re-design that incorporates these latest technical advances. Transparent Advanced Expanded Foam Technology enables a digital cable’s insulation to be foamed and extruded to a more precise thickness and uniform density than was ever possible in the past. This superior control of the dielectric maintains characteristic impedance, reduces signal loss, and lowers noise. With this breakthrough in freedom from noise, Reference Digital Link delivers important improvements in fundamental richness, dynamic range, and resolution. Super quiet Advanced Expanded Foam Technology ensures superior stability of characteristic S/PDIF impedance. Custom designed RCAs make 360-degree contact with the inner shield to maintain the impedance of the cable at the termination point, thereby reducing jitter. The new Transparent Reference 110-Ohm Digital Link benefits from a complete re-design that incorporates these latest technical advances. Transparent Advanced Expanded Foam Technology enables a digital cable’s insulation to be foamed and extruded to a more precise thickness and uniform density than was ever possible in the past. This superior control of the dielectric maintains characteristic impedance, reduces signal loss, and lowers noise. With this breakthrough in freedom from noise, Reference 110-Ohm Digital Link delivers important improvements in fundamental richness, dynamic range, and resolution. Two heavy, polished, solid core OFHC balanced conductors. 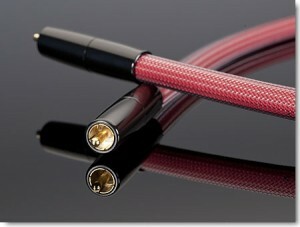 Precision twisted balanced conductors cancel out noise. Super quiet Advanced Expanded Foam Technology ensures superior stability of characteristic AES/EBU impedance. Gold XLR contacts for maximum signal transfer. 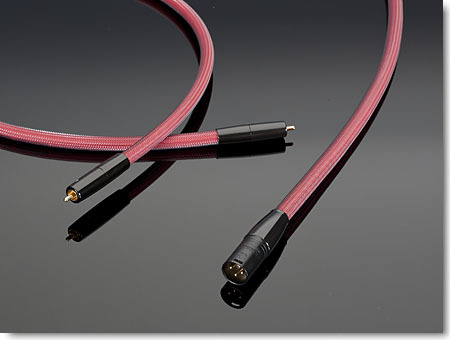 The new Transparent Reference XL 75-Ohm Digital Link is a new cable that uses these latest technical advances to reach a level of purity and ease never before achieved by any digital cable, even Transparent’s own Reference Digital Link. Reference XL Digital Link uses Transparent Advanced Expanded Foam Technology for precise impedance control and low noise signal transmission. With a solid OFHC conductor that is significantly larger than the Reference 75-Ohm Digital Link conductor, Reference XL Digital Link has far more surface area with which to transfer digital signals accurately. It also features improved connector and termination technologies. Very large polished, solid core OFHC center conductor. New connector design and termination techniques drop noise floor even more than was previously thought possible. 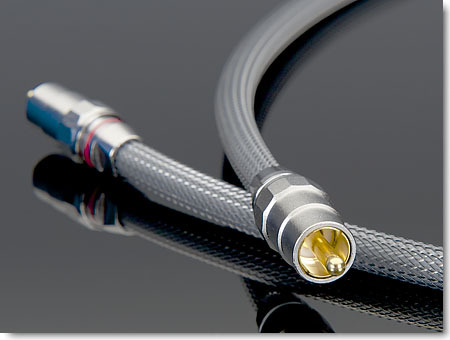 The new Transparent Reference XL 110-Ohm Digital Link is a new cable that uses these latest technical advances to reach a level of purity and ease never before achieved by any digital cable, even Transparent’s own Reference 110-Ohm Digital Link. Reference XL 110-Ohm Digital Link uses Transparent Advanced Expanded Foam Technology for precise impedance control and low noise signal transmission. With 2 solid OFHC conductors that are significantly larger than Reference 110-Ohm Digital Link conductors, Reference XL 110-Ohm Digital Link has far more surface area with which to transfer digital signals accurately. It also features improved connector and termination technologies. Two very large polished, solid core OFHC balanced conductors. Smaller and more flexible than Reference Digital Link, Transparent Premium 75-Ohm Digital Link provides amazingly precise and dependable digital transmission. It shares many technical features with Reference Digital Link including Teflon dielectric, OFHC solid center conductor, and custom RCAs or scientific grade BNCs with gold contacts. Long regarded as an industry standard for its superior performance and robust construction, Transparent Premium 75-Ohm Digital Link now reaches an even higher level with the Advanced Expanded Foam Technology originally developed for Transparent’s new Reference II digital cables. Combined with a larger center conductor, the new Premium 75-Ohm Digital Link sets a whole new level of performance in the Premium category. 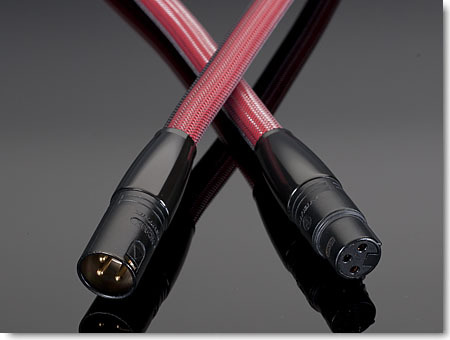 Premium PowerLink consists of many OFHC copper strands precision wound together to create a flexible 10-gauge cable capable of carrying all the current required of powerful amplifiers. High coverage pure copper shielding and a foil shield wrap reduce noise. A Transparent filter network reduces more AC line noise. Hefty plugs and sturdy termination deliver power and reliability. 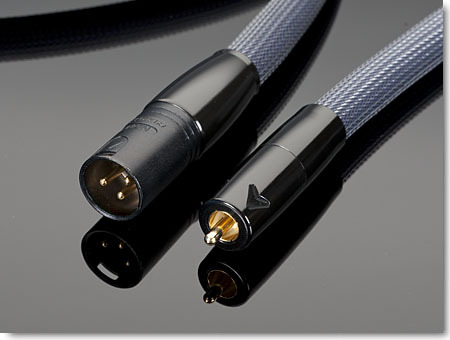 Premium PowerLink is the perfect partner for all systems at the premium performance level, and has been developed in concert with Transparent’s Ultra, Super and Plus audio cables, Premium video cables, and the PowerIsolator 8 and PowerWave power conditioners. Due to its greater transfer capabilities, Premium PowerLink is a better match with high-current amplifiers than High Performance PowerLink. Custom XLRs with gold contacts for maximum signal transfer. 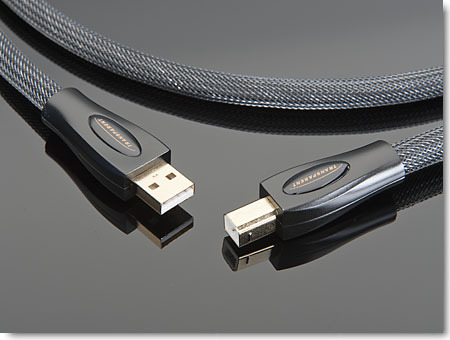 Transparent Premium USB Cable brings unparalleled accuracy to the connection between a computer and a USB Audio DAC (Digital-to-Analog Converter). PRUSB accurately transfers the full richness and dynamic range of the music stored on your computer or media server. Four shields provide superior protection from external noise interference and internal noise interference from computer power supplies. Custom, gold-plated USB connectors and precision termination techniques insure accurate digital signal transfer. The extra large gauge solid core conductors have greater surface area than typical USB cables — a quality feature that further aids digital signal transfer even over longer lengths. Transparent Premium USB Cable has extruded foam polyethylene dielectric, a far superior insulator than the material used in typical USB cables in terms of maintaining ideal propagation speed and reducing signal loss. Transparent Premium USB cable is specifically designed for computer audio applications. 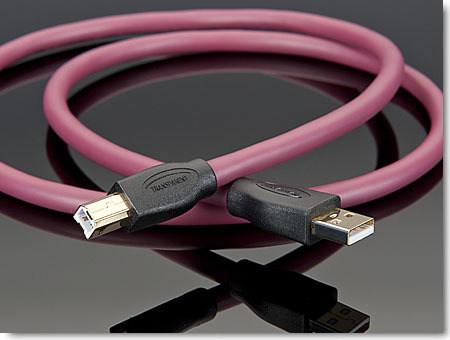 Large gauge conductors allow for accurate signal transfer up to 30 feet compared with computer USB cables that are limited to a few meters. Transparent Premium USB allows computers to be located away from audio components without compromising performance. 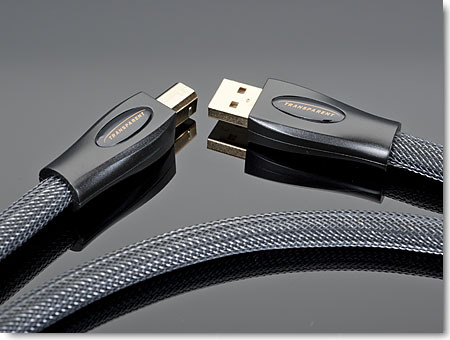 Precision construction techniques and superior noise rejection result in a richer, more natural sound compared with computer USB cables. Four shields and precision extruded foam polyethylene dielectric provide superior noise performance for better resolution of musical details and a wider dynamic range. 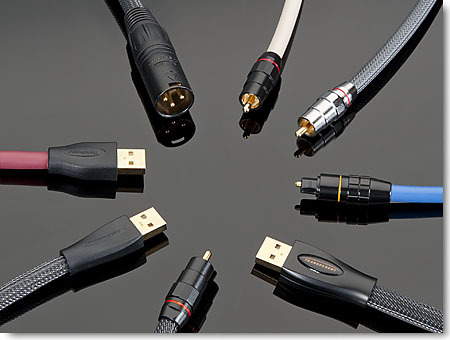 Transparent recommends following your USB DAC manufacturer’s recommendations regarding USB audio cable length. 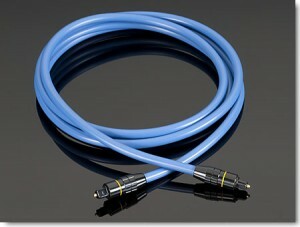 Note: some computer USB outputs cannot drive longer lengths of typical USB audio cables. 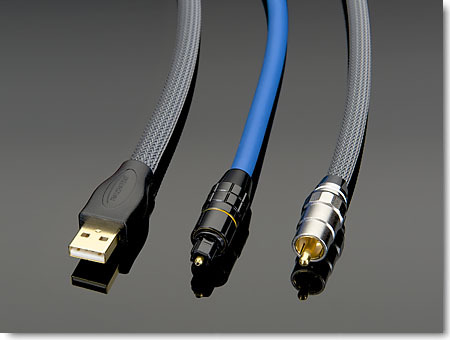 Transparent Premium USB Audio Cable is a high resolution, high speed cable that will pass a high quality DAC signal over longer lengths than expected with a wide assortment of computer interfaces. If your installation requires a USB cable longer than 15 feet, however, please consult your your Transparent dealer or call Transparent. Transparent High Performance 75-Ohm Digital Link delivers most of the performance of Premium 75-Ohm Digital Link at a more accessible price. High Performance Digital Link uses precision extruded Teflon dielectric a more expensive and more effective insulator than the foam polyethylene used in Performance Digital Link. It also has 2 high coverage braided OFHC shields separated by a Mylar coated foil shield to block out noise. Transparent High Performance Toslink Cable is specifically designed to reach a performance level well beyond generic Toslink cables. Precision built to transfer high speed optical signals up to 60 feet. 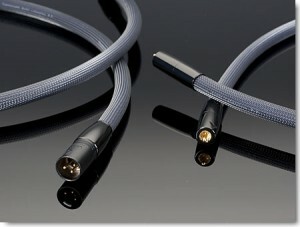 Custom polishing techniques at the termination result in a richer, more natural sound compared with ordinary Toslink cables. Custom metal casings protect the Toslink connectors and provide welcome stability at the points of connection. 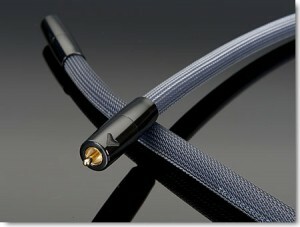 Special jacket material prevents the delicate optical cable from mechanical stresses. 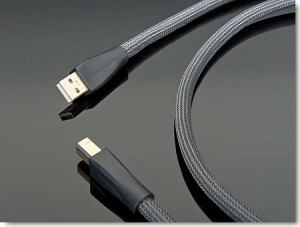 Transparent High Performance USB Cable is designed for connections between a computer and a USB Audio DAC (Digital-to-Analog Converter). HPUSB accurately transfers the full richness and dynamic range of the music stored on your computer or media server. Three shields provide superior protection from external noise interference and internal noise interference from computer power supplies. Custom, gold-plated USB connectors and precision termination techniques insure accurate digital signal transfer. The large gauge solid core conductors have greater surface area than typical USB cables further aiding digital signal transfer even over longer lengths. Transparent High Performance USB Cable has extruded foam polyethylene dielectric, a far superior insulator than the material used in typical USB cables in terms of maintaining ideal propagation speed and reducing signal loss. Transparent High Performance USB cable is specifically designed for computer audio applications. Transparent High Performance USB allows computers to be located away from audio components without compromising performance. Triple shielding and precision extruded foam polyethylene dielectric provide superior noise performance for better resolution of musical details and more dynamic range. Note: some computer USB outputs cannot drive longer lengths of typical USB audio cables. 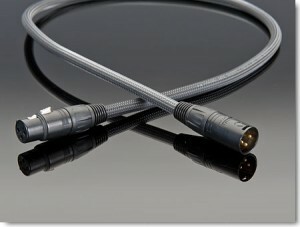 Transparent High Performance USB Audio Cable is a high resolution, high speed cable that will pass a high quality DAC signal over longer lengths than expected with a wide assortment of computer interfaces. If your installation requires a USB cable longer than 15 feet, however, please consult with your Transparent dealer or call Transparent. Transparent Performance 75-Ohm Digital Link delivers substantial performance at a very accessible price. A precision extruded polyethylene foam dielectric insulates the heavy, polished, solid core OFHC center conductor. Two high coverage OFHC braided shields separated by a Mylar coated foil shield keep noise out and complete the tightly specified 75-ohm cable package. Coaxial RCAs that make 360-degree contact with the inner shield maintain the impedance of the cable at the termination point, thereby reducing jitter. Scientific grade BNCs are optional terminations. Precision extruded polyethylene foam dielectric helps maintain impedance. 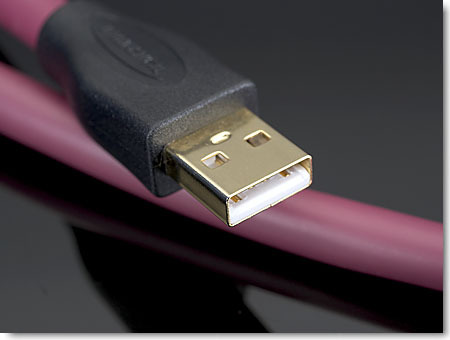 Transparent Performance USB Cable is designed for connections between a computer and a USB Audio DAC (Digital-to-Analog Converter). PUSB accurately transfers the richness and dynamic range of the music stored on your computer or media server. Shields provide superior protection from interference and custom, gold-plated USB connectors and precision termination techniques insure accurate digital signal transfer. The large gauge conductors have greater surface area than typical USB cables resulting in superior digital signal transfer even over longer lengths. Precision extruded foam dielectric maintains ideal propagation speed. Transparent Performance USB cable is specifically designed for computer audio applications. Transparent Performance USB allows computers to be located away from audio components without compromising performance. Low noise dielectrics and double shielding provide superior noise performance for better resolution of musical details and a wider dynamic range. Standard termination: USB A > USB B. Lengths: 1 meter, 1.5 meter, 2 meter, 10 feet, 15 feet, 20 feet, 30 feet. Note: some computer USB outputs cannot drive longer lengths of typical USB audio cables. 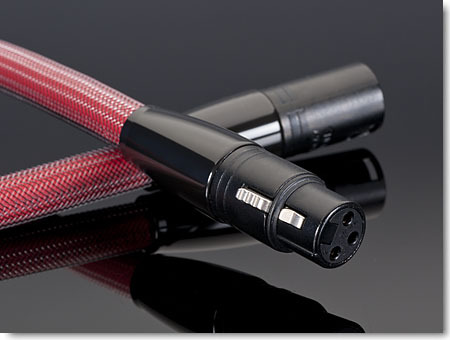 Transparent Performance USB Audio Cable is a high resolution, high speed cable that will pass a high quality DAC signal over longer lengths than expected with a wide assortment of computer interfaces. If your installation requires a USB cable longer than 15 feet, please consult with your Transparent dealer or call Transparent.